Jason's Quality Landscaping, Inc. has been installing pavers in Garner, North Carolina since 1994. Jason's Quality Landscaping, Inc. has the skilled, experienced craftsmen needed for the perfect paver installation. 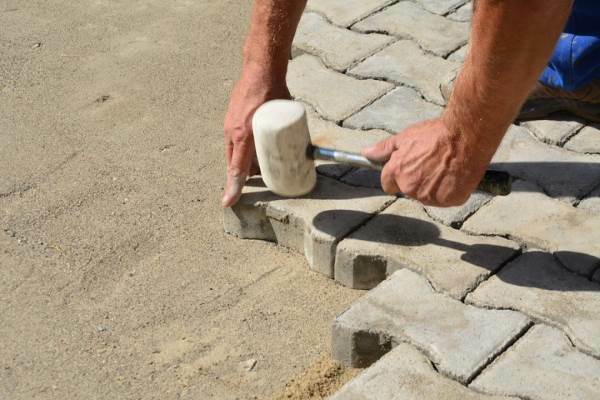 Our job is to successfully install pavers and achieve 100% customer satisfaction. With Jason's Quality Landscaping, Inc., you'll get that and much more. Pavers not only look fantastic, but because of this beautiful appearance, they actually add value to your property. If you'd like to add value, call Jason's Quality Landscaping, Inc. to have your pavers installed. Paver installation requires patience and experienced craftsmanship. If you want beautiful looking pavers on your property, have Jason's Quality Landscaping, Inc. serving Garner install your pavers. Pavers come in so many different, shapes, sizes, colors and patterns. This is why you can create your own unique design and have a beautifully landscaped property. Add value, beauty, and uniqueness to your property! Call Jason's Quality Landscaping, Inc. serving Garner North Carolina today!